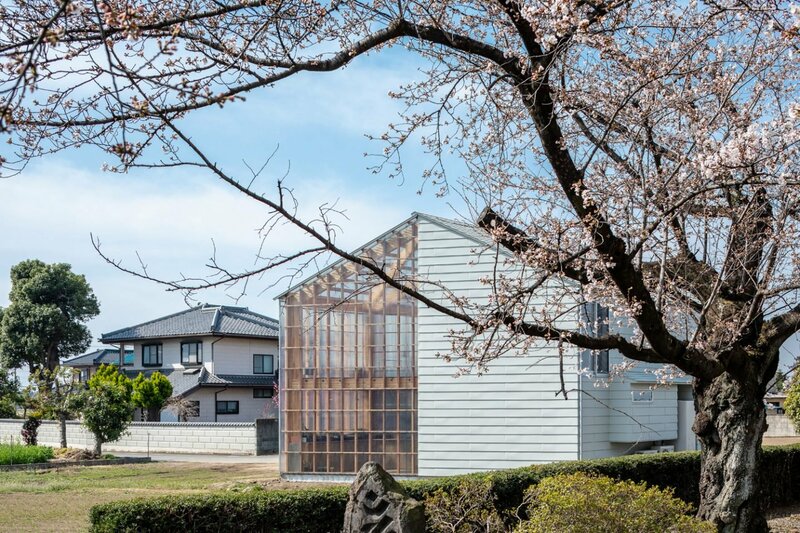 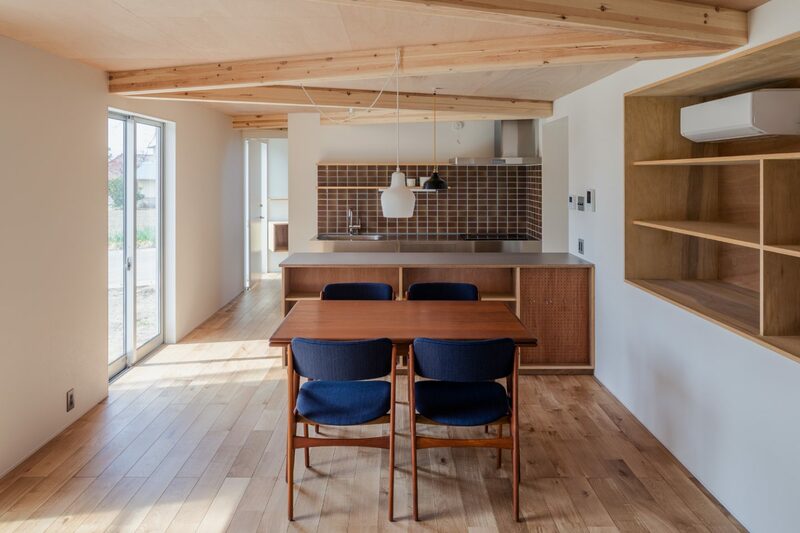 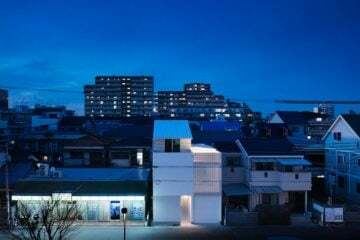 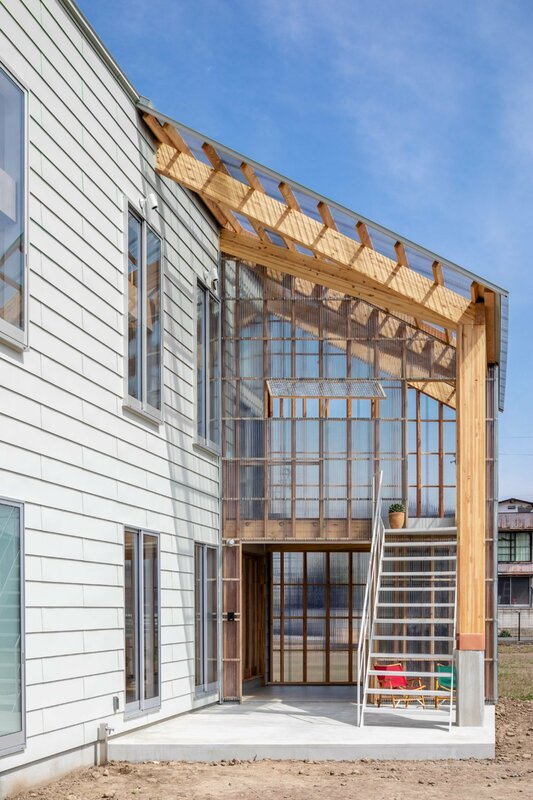 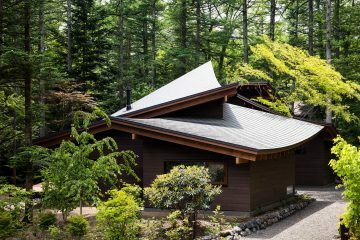 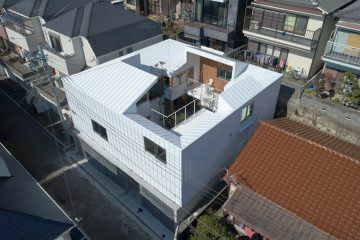 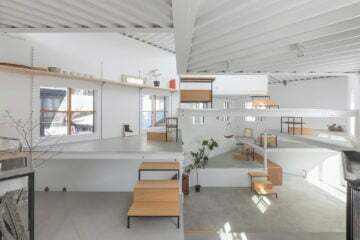 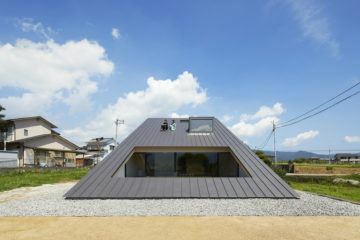 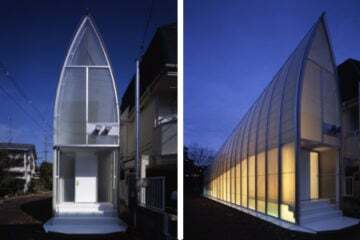 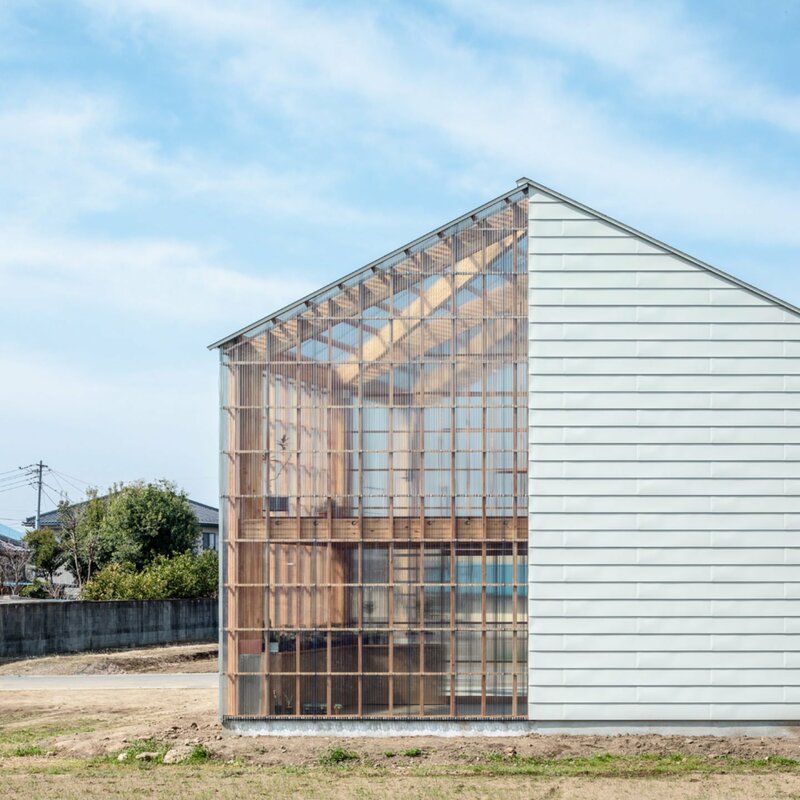 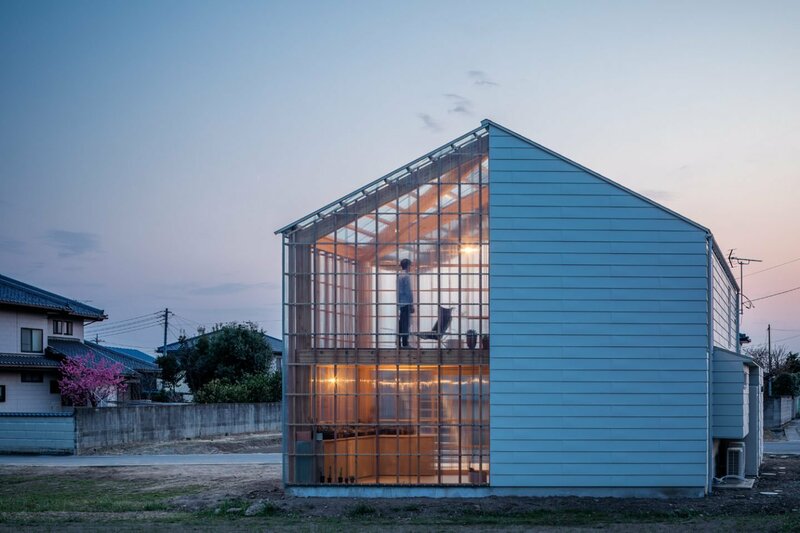 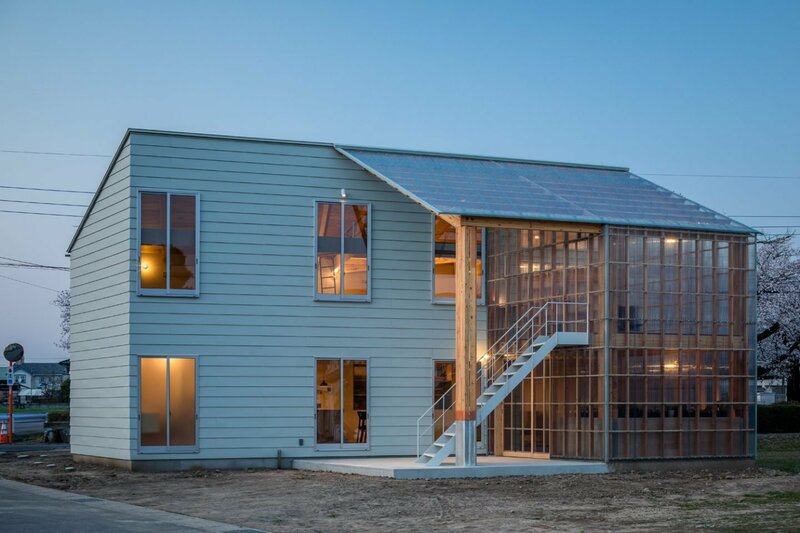 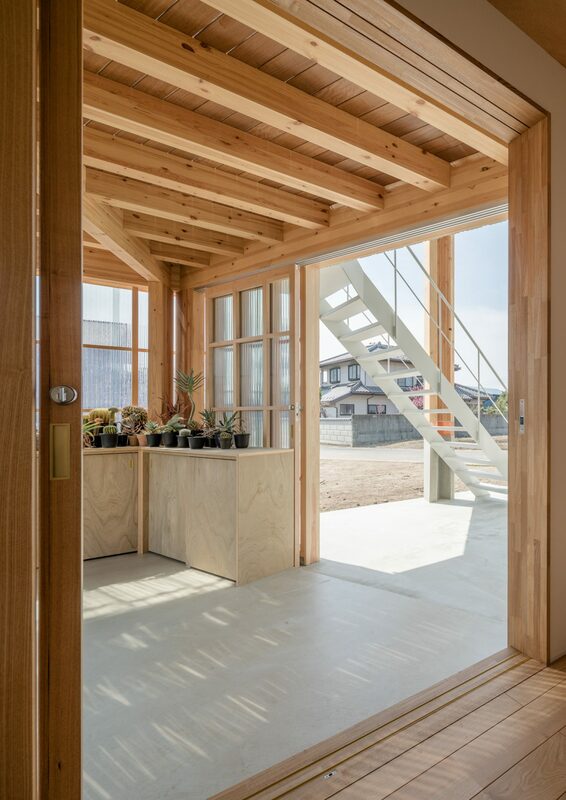 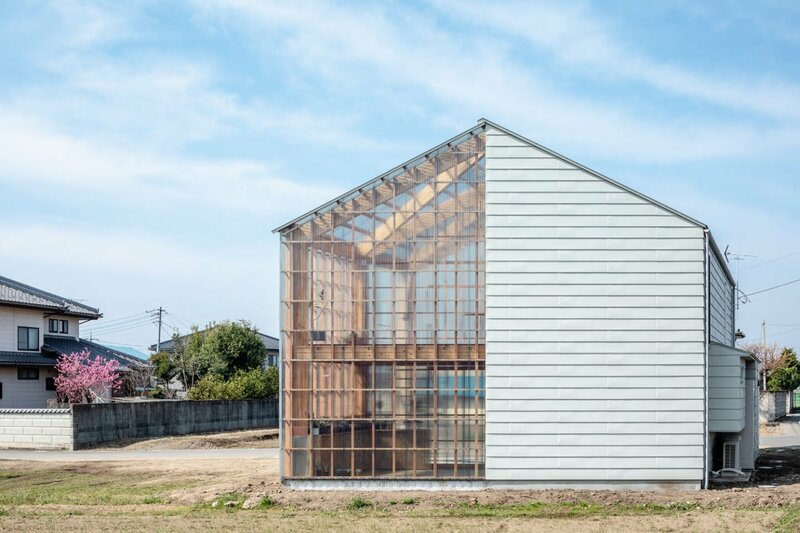 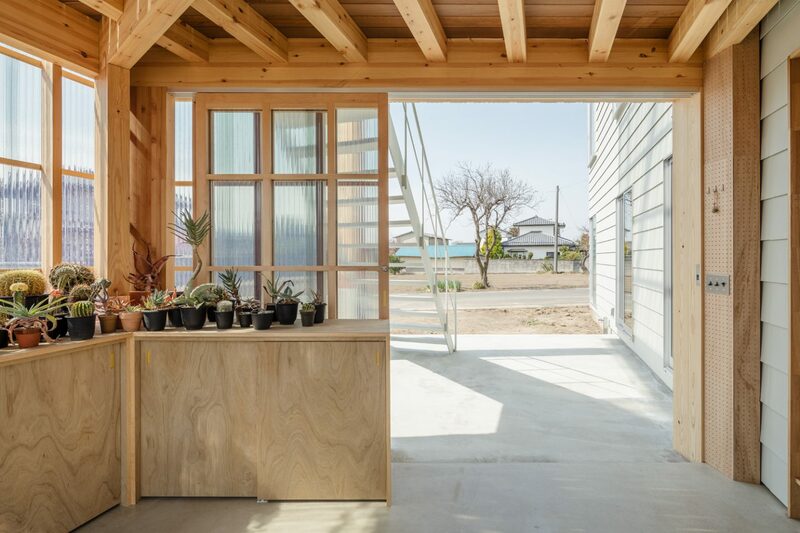 In Maebashi Japan, SNARK has designed ‘House in Nakauchi’ a minimal residence that combines the aesthetics of a greenhouse with the function of a family home. 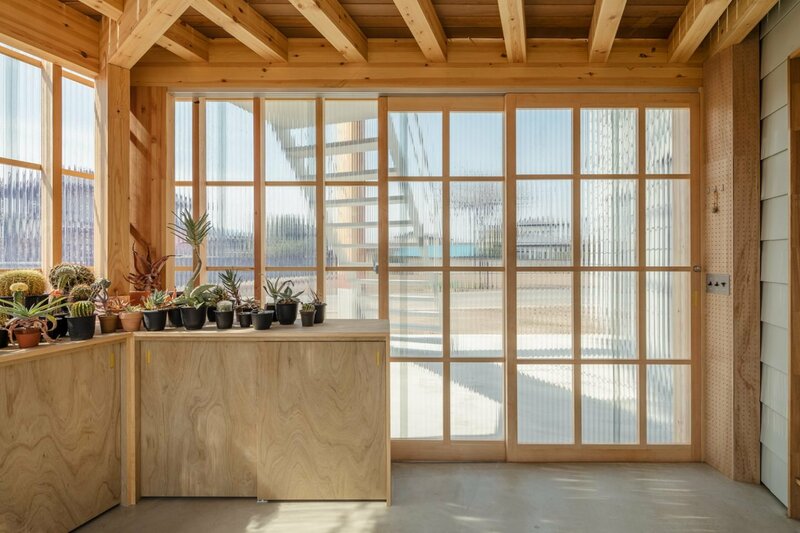 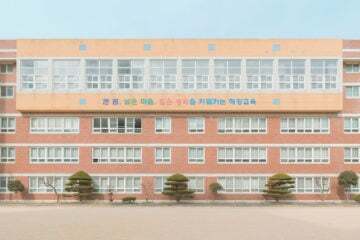 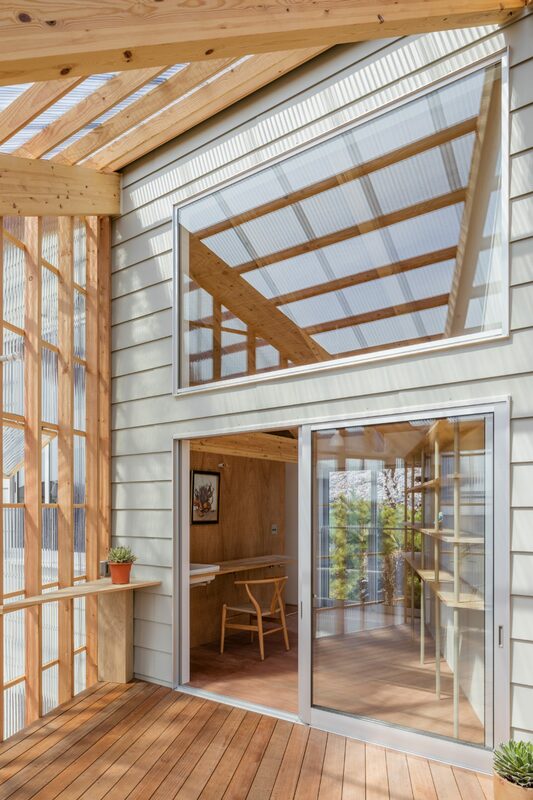 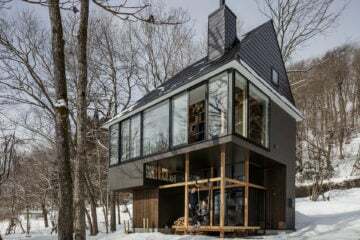 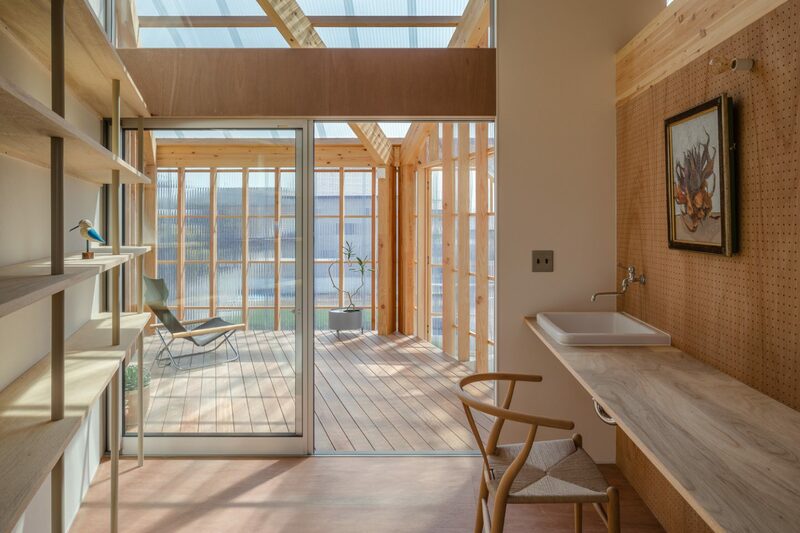 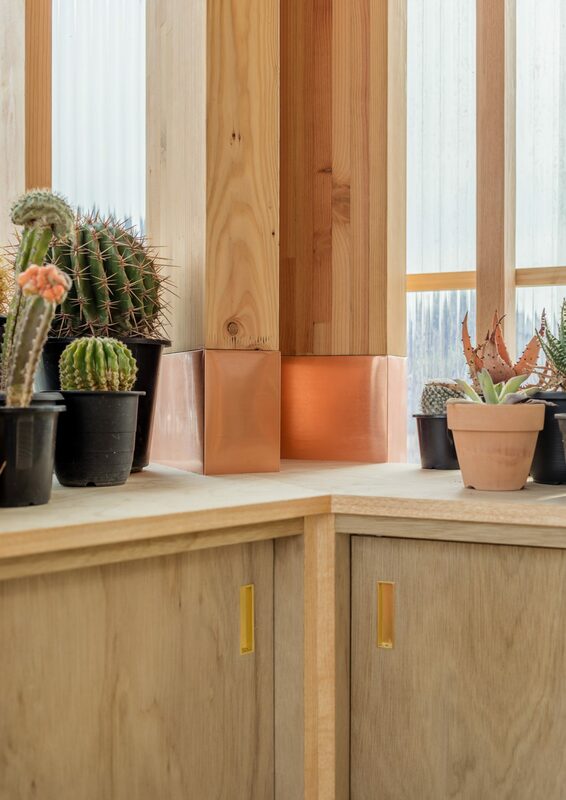 Built from wood and perspex, the building has a large semi-transparent volume which extends from its side; providing large amounts of natural light and blurring the distinction between inside and outside. 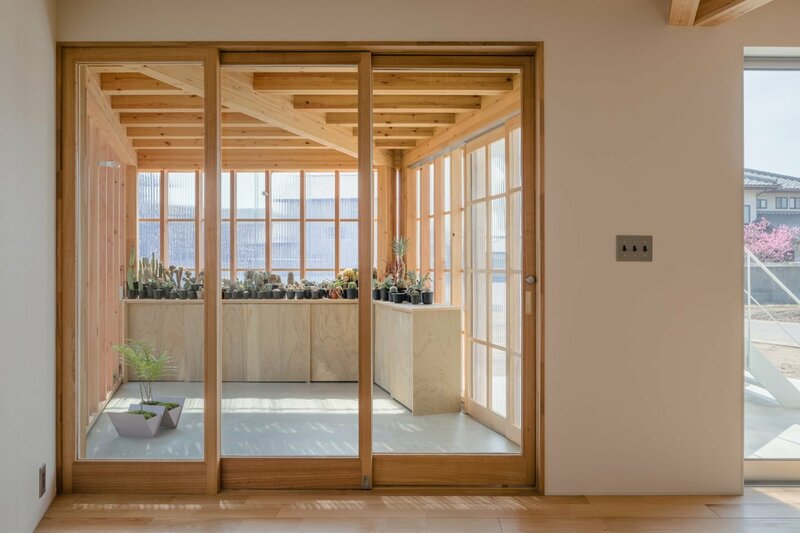 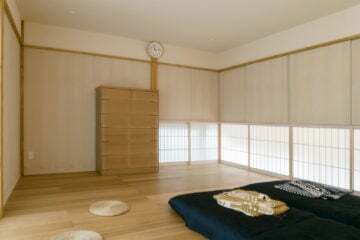 Inside, sliding glazed partitions are used to divide rooms, allowing the space flexibility of use. 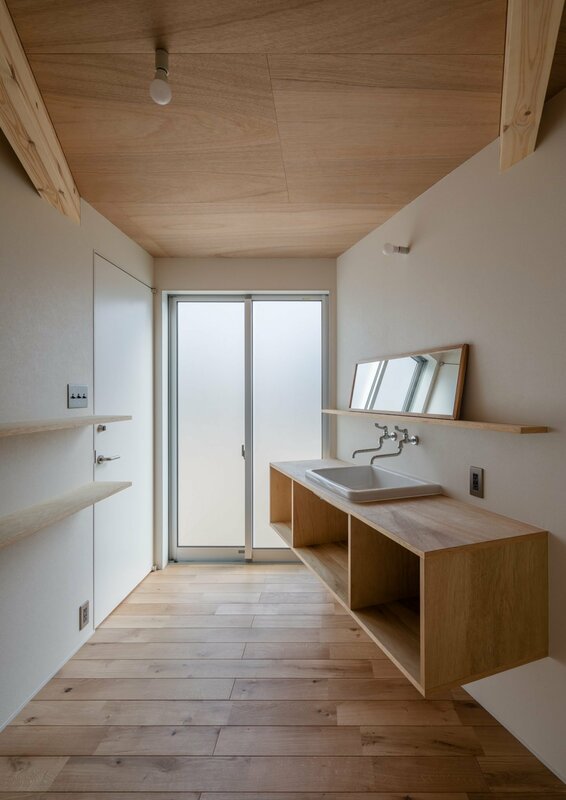 The interior of the property has been painted white, with furniture, flooring and the ceiling all crafted from a similar treated lightwood. 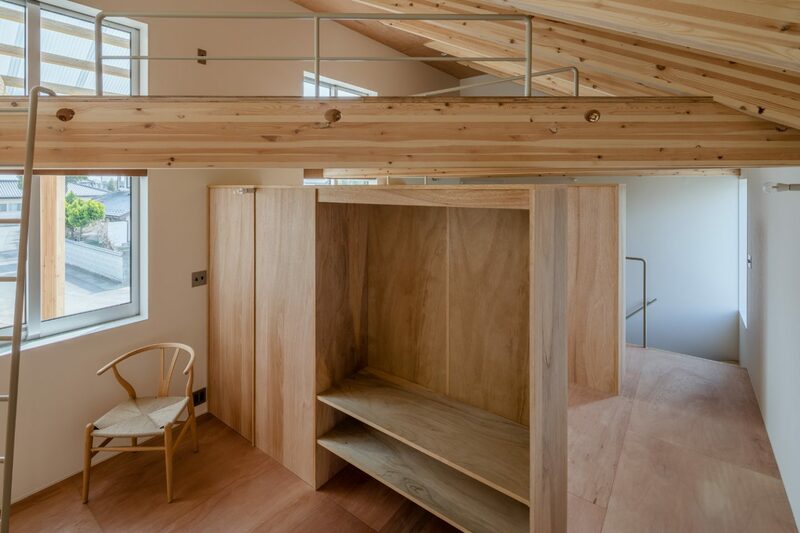 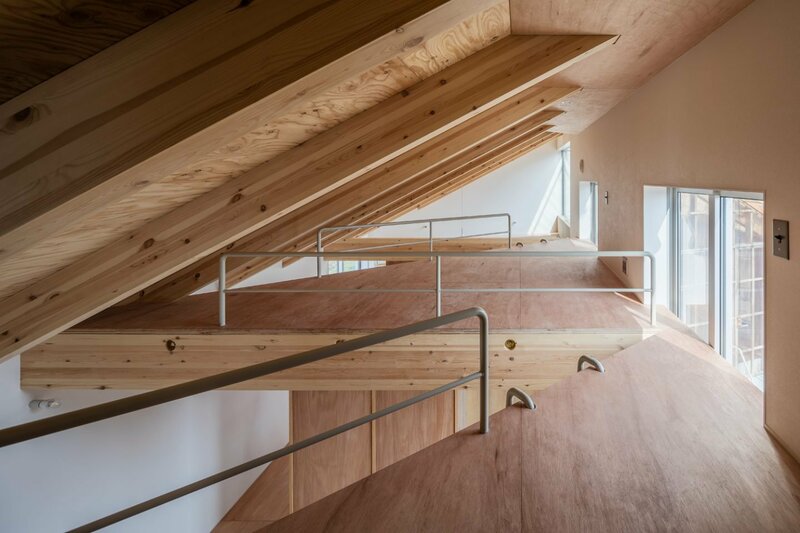 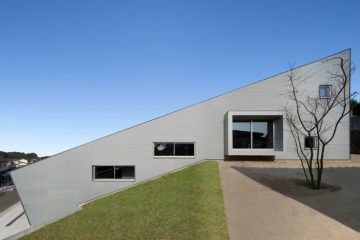 Upstairs, the gabled roof provides space for storage and extra beds should they be required for guests.